Professor Steven Ratuva, a political sociologist, is Director of the Macmillan Brown Centre for Pacific Studies and Professor in the Department of Anthropology and Sociology at the University of Canterbury, New Zealand. He is a recipient of the Fulbright Senior Scholar Award to carry out research as visiting professor at the University of California (LA), Duke University and Georgetown University. He is also a recipient of the Marsden award as well as winner of a number of project funding awards. He is Chair of the International Political Science Association research committee on Democratization and the Military and former President of the Pacific Islands Political Studies Association. He is an interdisciplinary scholar with expertise and research interest in sociology, anthropology, political science, development studies, economics, philosophy and history. With a PhD from the University of Sussex, he has published widely on development, conflict, political change, coups, social protection, elections, ethnicity, security, military, affirmative action, gender and nationalism. He is leader of an international research team putting together the Global Handbook on Ethnicity, commissioned by Palgrave Publishers. He also leads an international research team, under the auspicious of the International Political Science Association, putting together an edited volume on the military and the new global security environment. He is also Founder and Editor in Chief of the Pacific Dynamics: Journal of Interdisciplinary Research whose aim is to promote Pacific research and scholarship. 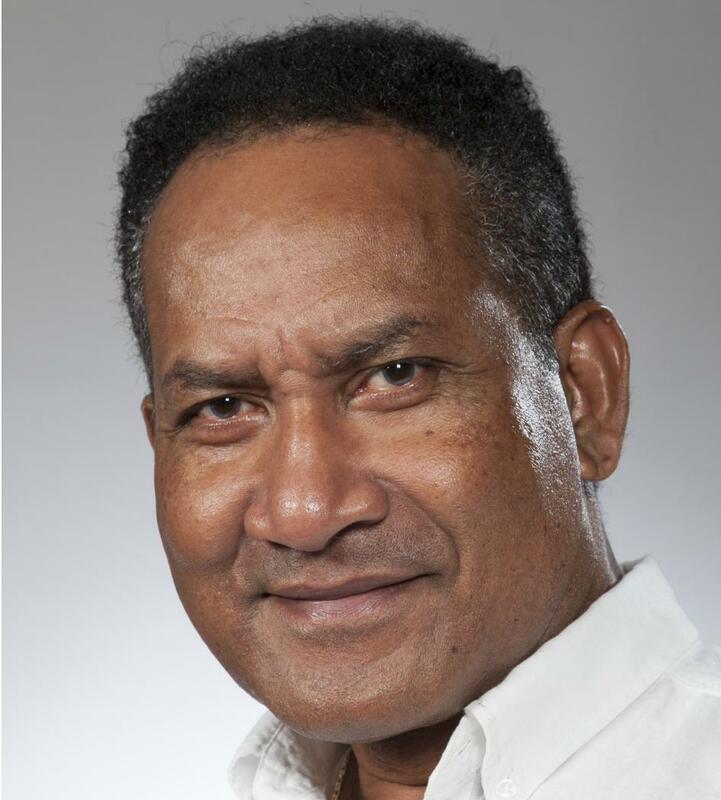 Prof Ratuva has worked in a number of universities including University of Sussex, University of the South Pacific, Australian National University and University of Auckland. He was a visiting fellow at the University of New South Wales, National University of Taiwan and other universities around the world. He has been consultant and advisor for international organizations such as UNDP, World Bank, Asian Development Bank, International Labour Organization, International Institute for Democracy and Electoral Assistance, British Council and other organizations and governments. Ratuva, S (ed). 2019. Global Handbook on Ethnicity. Singapore: Palgrave (forthcoming). Ratuva, S (ed). 2018. Guns and Roses: The Nexus Between the Military and Citizenry in the New Security Environment. Singapore: Palgrave (forthcoming). Ratuva, S. 2017. “Country Review of Tonga.” Journal of Contemporary Pacific. 29(1): 181-188. Ratuva, S. 2017. “Man vs Myth: The Life and Times of Ratu Sukuna.” Fijian Studies: A Journal of Contemporary Fiji, 13: 3-15. Ratuva, S. 2017. “Anxiety and Diminished Hope: The Potential Impact of Trump’s Presidency on Pacific Security.” Round Table: The Commonwealth Journal of International Affairs, 107: 1-9. Ratuva, S. 2017. Contested Terrain: Redefining Security Discourses in Fiji, Tonga, Solomon Islands and New Caledonia(Forthcoming). Ratuva, S and Lawson, S (ed). 2016. The people have spoken: The 2014 Fiji Elections. Canberra: Australian National University Press. Ratuva, S. 2016. “Subalternization of the Global South: Critique of Mainstream ‘Western’ Security Discourses.” Cultural Dynamics, 28(2): 1-18. Ratuva, S. 2016. "Tectonic Fractures or Storm in a Tea Cup? Fiji Versus Australia and New Zealand." WeltTrends-das außenpolitische Journal: (WorldTrends - The Foreign Policy Journal), 112: 34-40. Ratuva, S. 2016. "The Kingdom of Tonga." In S. Levine (ed)Pacific Ways. Wellington: Victoria University Press. Ratuva, S. 2016. “Shifting Democracy: Electoral Changes in Fiji” In S. Ratuva and S. Lawson, The People Have Spoken. Canberra: ANU Press. Ratuva, S. 2015. “Protectionism versus Reformism: The Battle for Taukei Ascendency in the 2014 Fiji Elections. The Round Table: The Commonwealth Journal of International Affairs,” 104 (2):137-149. Ratuva, S. 2015. “Shifting Sands: Fiji's Foreign Policy and Geopolitical Reconfiguration of the Pacific.” In A. Holtz, M. Kowash and O. Hasenkamp (ed). A Region in Transition: Politics and Power in the Pacific Islands. Saarbrucken (Germany): Universaar Publishers. Ratuva, S. 2014. “The Interface between Affirmative Action and Neo-Liberalism: The Case of Fiji.” Cultural Dynamics (Duke University), 26 (3): 1-20. Ratuva, S. 2014. “A New Cold War? American and Chinese Posturing in the Pacific.” Asia-Pacific Policy Review (ANU), 1 (2): 409-422. Ratuva, S. 2014. “Islands in Peril?” Introduction to Vltcheck, A.Oceania: Neocolonialism, Nukes and Bones. Auckland: Atuanui Press. Preface written by Noam Chomsky. Ratuva, S. 2014. “Failed States or Resilient Subaltern Communities: Pacific Indigenous Social Protection System in a Neoliberal World.” Pacific Journalism Review, 20 (2): 39-57. Ratuva, S. 2014. “Ethnicity, Affirmative Action and Coups in Fiji: Indigenous Development Policies between the 2000 and 2006 Coups.” Social Identities: Journal for the Study of Race, Nation and Culture, 22 (2-3): 139-154. Ratuva, S. 2013. Politics of Preferential Development: Trans-global Study of Affirmative Action and Ethnic Conflict in Fiji, Malaysia and South Africa. Canberra: Australian National University Press. Ratuva, S. 2013. “Legitimizing Regime Change: Fiji’s New Constitution and the 2014 Election.” The Parliamentarian: Journal of the Parliaments of the Commonwealth, 95 (3): 182-189. Ratuva, S. 2013. “Constitutional Engineering and Re-democratization in Fiji.” The Parliamentarian: Journal of the Parliaments of the Commonwealth, 95 (2): 126-132. Ratuva, S. 2013. “From the Edge: Reflections on Pacific Research.” Transnational Subjects: History, Society and Culture, 2 (2): 253-259. Ratuva, S. 2013. “Coerced Preferences: Horizontal Inequality and Affirmative Action in Fiji.” In R. Premdas and T. Gometz,Affirmative Action, Ethnicity and Conflict. Oxford: Routledge. Ratuva, S. 2012. “Fiji’s Illusive Democracy: Paradoxes, Dilemmas and Hopes.” Parliamentarian: Journal of Parliaments of the Commonwealth, 94 (3): 186-196. Ratuva, S. 2011. “The Gap between Global Thinking and Local Living: Dilemmas of Constitutional Reform in Nauru,” Journal of Polynesian Society, 120 (3): 241-268. Ratuva, S. 2011. “The Fiji Military Coups: Reactive and Transformative Tendencies.” Journal of Asian Political Science, 19 (1): 96-120.Ratuva, S. 2010. “Vakatorocaketaki ni Taukei: The Politics of Affirmative Action in Post-colonial Fiji. Pacific Economic Bulletin, (ANU), 25 (3): 168-192. Ratuva, S. 2010. “Back to Basics: Towards Integrated Social Protection for Vulnerable Groups in Vanuatu.” Pacific Economic Bulletin, (ANU), 25 (3): 40-63. Ratuva, S. 2009. “Commodifying Cultural Knowledge: Corporatized Western Science and Pacific Indigenous Knowledge.” International Social Science Journal, 195 (1): 153-163. Ratuva, S and Mead, A (ed). 2008. Pacific Genes and Life Patents: Pacific Indigenous Experiences and Analysis of the Commodification and Ownership of Life. Tokyo: United Nations University. Ratuva, S. 2007. “Australia’s New Assertiveness in the Pacific: A View from the ‘Backyard.’ In Fry, G and Kabutaulaka (ed).Intervention and State-Building in the Pacific: The Legitimacy of Cooperative Intervention. Manchester: Manchester University Press.